Nabji Trail trekking goes through the Jigme Singye Wangchuck National Park located in central Bhutan, in an ecological rich environment. The park is also home to several cultural rich agricultural villages. The trail is a six-day low-altitude trek (between 693m/23100ft and 1,636m/5453ft) through six different villages located inside the park. On this trek, you will possibly see the Golden Langur (Trachypithecus geei), one of the rarest primates, which can only be found in Bhutan and neighbouring Assam. Jigme Singye Wangchuck National Park is also home to the endangered Rufous-necked Hornbill (Aceros nepalensis). In addition to this, the trail is a superb place for birding (common mynas, blue-fronted redstarts, long-tailed shrikes and Eurasian sparrows, to name just a few common species, but spotted are also serpent eagle, golden-throated barbet, and the yellow-bellied flowerpecker) and has a wide variety of plants and flowers found in this Himalayan area (from Chirpine, broad-leaved trees and Bamboo, to Rhododendrons and wild Orchids). Besides the natural beauty of the area, the area also contains cultural history, witnessed among others by the presence of a commemorative pillar in the temple of Nabji. The pillar symbolises the occasion that peace was negotiated between the two kings (King Nauche from India and King Sindu from Bhutan) intermediated by Guru Rimpoche in the eight century. The Nabji Trail supports the park management in their efforts to conserve nature by creating more awareness on natural and environmental issues, through tourism awareness programs and by introducing socio-economic benefits. Specific measures are put in place to maximize socio-economic benefits and minimize negative impacts from tourism development to support the livelihood of the local community in the area and to create more awareness on natural, environmental, and cultural issues. The flight into the Himalayas reveals scenic and breathtaking views of Himalayan Mountains of the world. 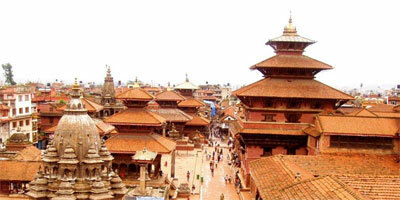 If weather permits you will be able to see Mt Everest (8848 meters) and other Himalayan mountain ranges. Landing in the Paro valley, surrounded by 4000 meters high mountains stretching across the west of Bhutan, enables you to have a visual landing which is indispensable and that makes your day an unforgettable one. Our representative welcome you in Bhutan and drive you through the beautiful valley of Paro to the capital city Thimphu. (2 hours drive). Thimphu is a bustling town on the banks of the Thimphu Chhu and set gloriously in the hills of the Thimphu valley. 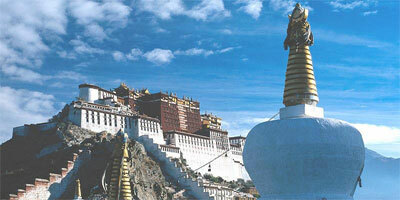 It is home to the Bhutanese Royal Family, the Royal Government to several foreign missions and development projects. 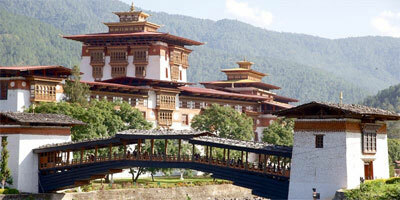 Bhutan's only golf course, a nine-hole circuit, is situated next to the magnificent Tashicho Dzong. Visit Zorig Chusum Institute 13 traditional arts and crafts. It was established in 1971 by the Royal Government in order to preserve the invaluable heritage and promote the arts of Bhutan, Hand Made Paper Factory which was established in November 1990 as an undertaking of the Royal Government of Bhutan, Tashichho Dzong (Fortress of the glorious religion) houses the throne room of His Majesty the King, the main secretariat building and the central monk body and Sangaygang view point as well as being the location of the transmitter tower of the only national television tower in the country (BBS), the view point is also the perfect place to take in some truly breathtaking views of the entire city of Thimpu. Overnight Thimphu Hotel. Total walking distance Riotala and Nimshong: about 6.5 kilometers, 3 to 4 hours. The trek starts with a steep descent of 693m/2310 ft, to the bed of Mangde River. Nimshong is a small (about 58-household) village, which has a population of about 465 people. The villagers welcome you with dance and songs while cooks are preparing diner. The campsite (1319 meters) is just beside the Nimshong Community School next above the village. Total distance: 13 to 14 kilometers, about 6 hours walk. The hike continues from Kubdra to Jangbi village. Again traces of Guru Rimpoche can be found along the way (foot print, dragger and hat). A welcoming tea is prepared in the orchid garden in Jangbi. 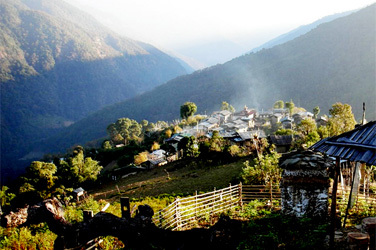 Camp will be set near Jangbi village with a beautiful view over the valley and Mangde Chhu. 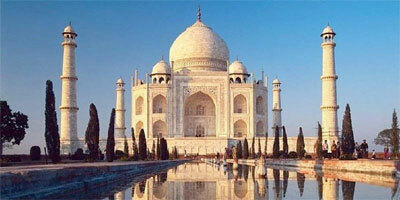 Total distance: 7 to 9.5 kilometers, about 3 to 4 hours. Today there is a steep descent of 950 meters, which will bring you to the bridge crossing the Mangde Chhu; after that there will be a last climb to Tongtongfey. From here, the bus will bring you back to Trongsa for a real bed and shower. Overnight Trongsa Hotel.